One of the most essential aspects of caring for your wood shutters is to make sure that they are dusted and free of dirt and debris. A simple, household duster is all that you need to thoroughly dust off the surface of your wooden shutters. By taking the time to dust off your shutters once every week, you can prevent unsightly residue from developing on the surface of your wooden window coverings. When your wood shutters are especially dirty, they may require a deeper clean than light dusting can provide. If you will be cleaning your wood shutters with a cleaning product, make sure to use a formula that has been specifically designed for use on natural wood. Many homeowners find that household furniture polish works great for cleaning wooden shutters. 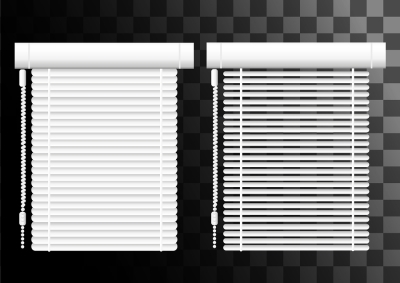 Your window treatment installers may also be able to recommend a formula that is right for your specific brand of shutters. Water can easily damage the surface of your wooden shutters. While small amounts of moisture will not immediately damage your wooden shutters, using very wet cleaning solutions on the surface of your shutters can cause them to warp or peel over the years and season. 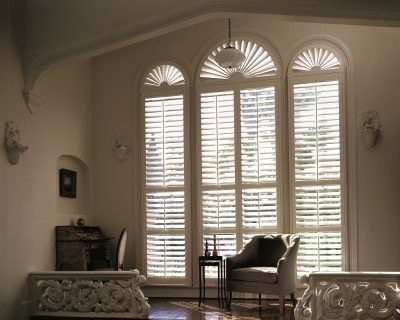 To keep your wood shutters looking great for many seasons in the future, maintain the interior of your home so that it is as free from as much humidity as possible.